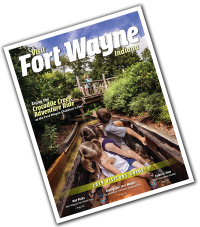 There is so much to do in Fort Wayne - anytime of year! We have a celebration planned for every weekend of the summer - and all throughout the year! For a full list of the performing arts, award-winning festivals, and cultural experiences going on during your visit, search our Calendar of Events. You can even sort by date, interest and location! For a list of the highlights of the season, so that you can plan around your favorite, click here.